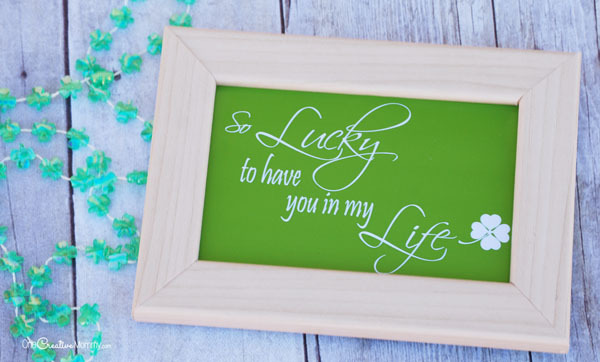 With St. Patrick’s Day just around the corner, I’ve created a fun printable to help you show gratitude for the special people in your life. 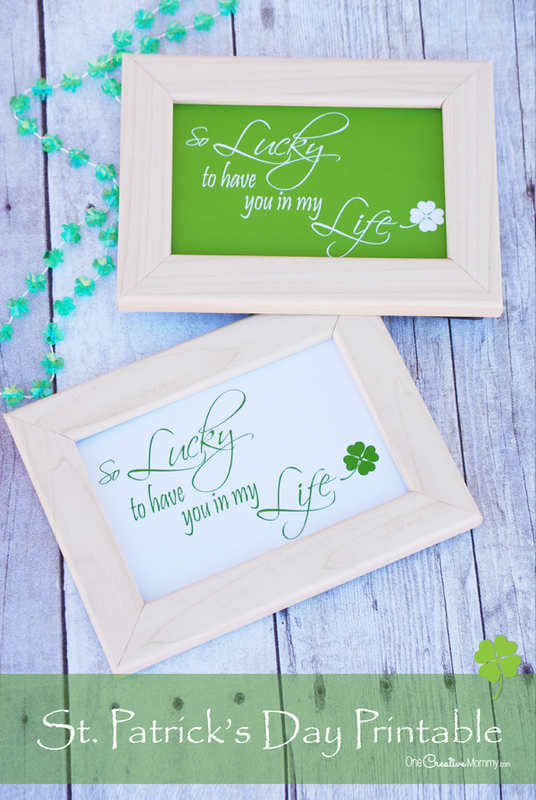 Here’s a free St Patricks Day printable just for you! I know, you think that I can’t spell! I do know that I forgot all the punctuation in St. Patrick’s Day. I did that on purpose for all those people typing into search engines looking for fun printables! I promise that I do know how to spell. Seventeen years ago, I married the man of my dreams, and now we share these three beautiful girls. I think this picture is about eight years old, but it’s still one of my favorites. I love that we couldn’t talk our oldest into wearing shoes, and I love that I’m hiding a bright pink binky in my back pocket to pacify my youngest in between photos. My oldest is now fourteen, so the family snapshot looks a little different these days. The only thing that hasn’t changed is that I’m still lucky to have these four fantastic people in my life. 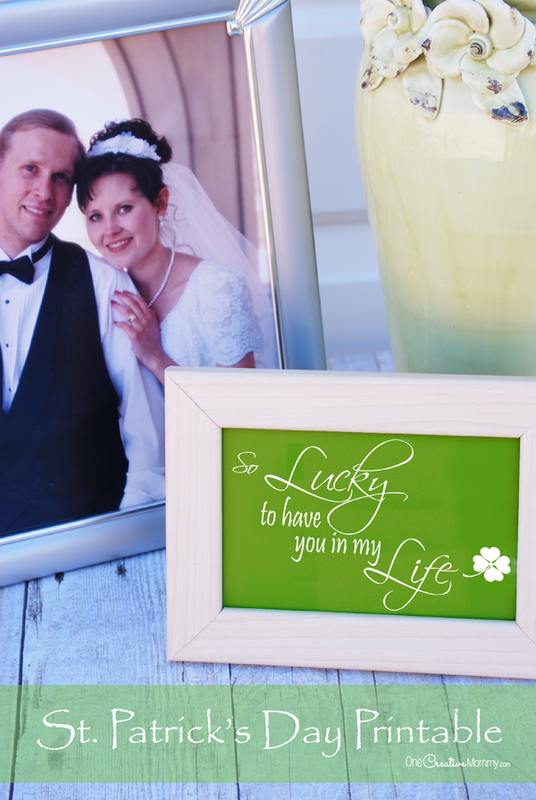 In honor of St. Patrick’s Day, I made these cute printables to showcase the people that I’m lucky to call mine. Who are you lucky to have in your life? 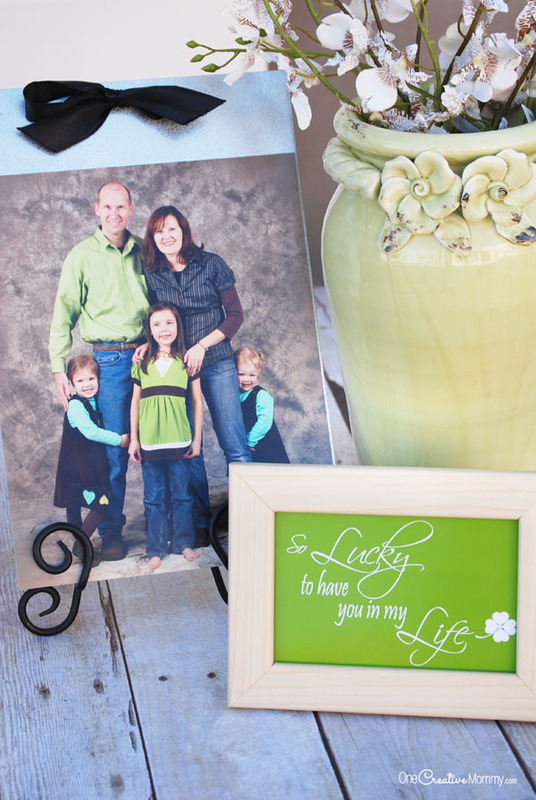 This printable is perfect to give as a gift or to tuck in with your own family pictures. It comes in two colors — green and white. 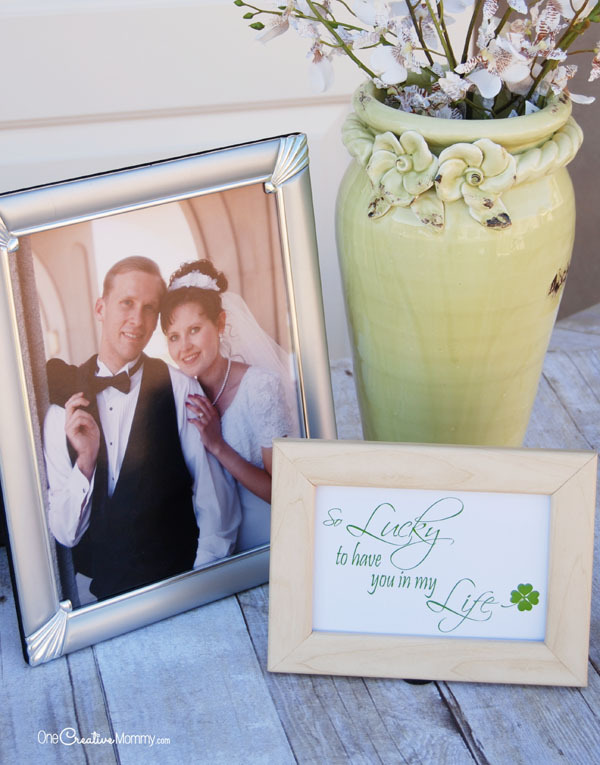 So, are you ready to download your own St Patricks Day printable? (I know. The missing punctuation. It’s killing me. Did I mention that I’m a retired teacher?) To download, select one of the download buttons below. Clicking the button above will open a pdf file of the printable in both colors. You can print from there or save the file to your computer to print later. Clicking the button above will download a zip file containing two high-quality 4×6 jpg files (one of each color). Thanks for stopping by today. If you love this printable, you can download a greeting card version here. 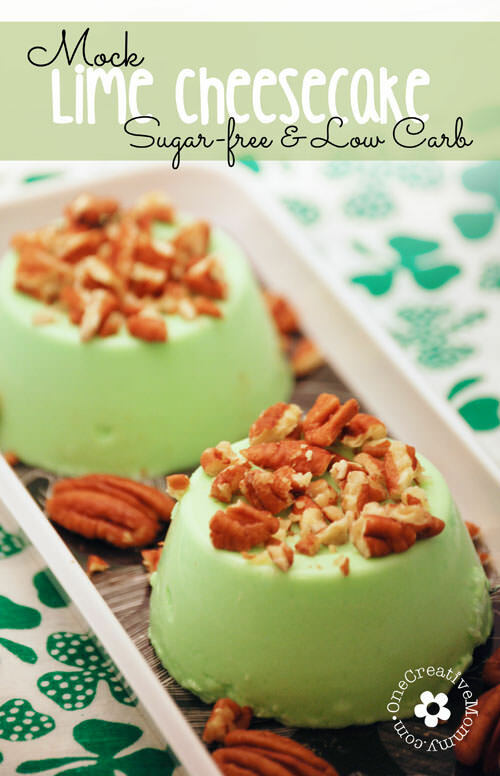 Don’t forget to check out more ideas for St. Patrick’s Day by checking out my Pinterest Boards or by clicking on the images below. 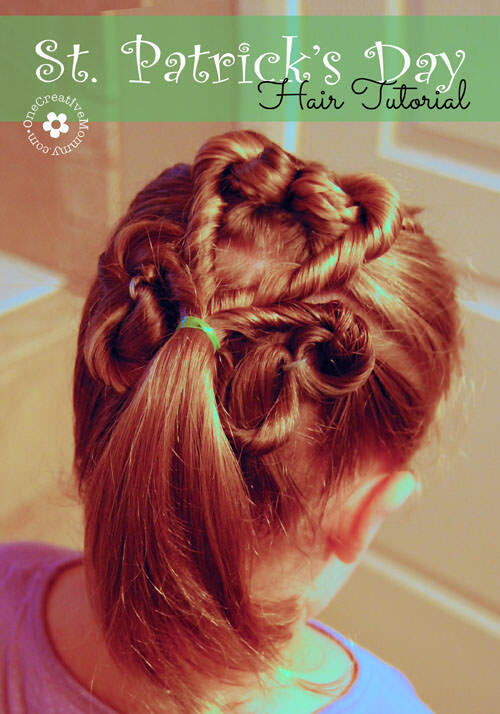 What an adorable printable! 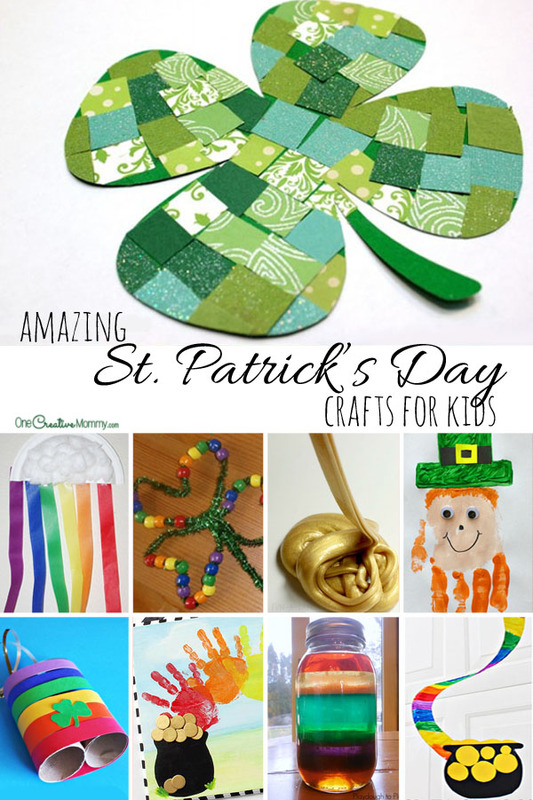 I hope you don’t mind if I include it in my St. Patrick’s Day Printables roundup next week. Have a great weekend! I’d love it, Leslie! Thanks. I can’t wait to see the roundup.